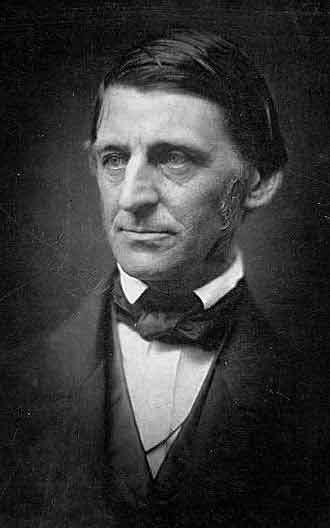 Ralph Waldo Emerson (1803 – 1882), transcendentalist, essayist, poet, preacher, philosopher and seer, was influenced by Hinduism. Emerson was among the earliest Americans to use Hindu ideas, symbols, epigrams, metaphors and fables in his writings. His knowledge of Hindu religion was obtained primarily from the translated works or commentaries on the Hindu scriptures by English and French writers of the 18th century. Emerson was particularly fascinated by the Bhagavad Gita, Rig Veda Samhita, Upanishads, Vishnu Purana, Hitopadesha and laws of Manu. Books of these authors gave Ralph Waldo Emerson a peep into the Hindu world. How Hinduism Influenced Ralph Waldo Emerson? His religious views bear a clear imprint of the Hindu concepts of God, man, nature, soul, maya (illusion), karma, evil and transmigration. Emerson believed not in religious aloofness but in religious dialogue, not in regarding science as antithetical to religion, but as complimentary to it. In place of organized religion, he pleaded for a humanistic form of religion, free from denominational strings; in place of conformity to social conventions and traditions he advocated self-reliance; in place of rituals and sacraments he suggested an exploration of the self and nature. To him the world was an enfoldment of the Universal Mind or the Divine Soul, and man, a veritable instrument of the Infinite Reality, having the potential to transform the world around him.